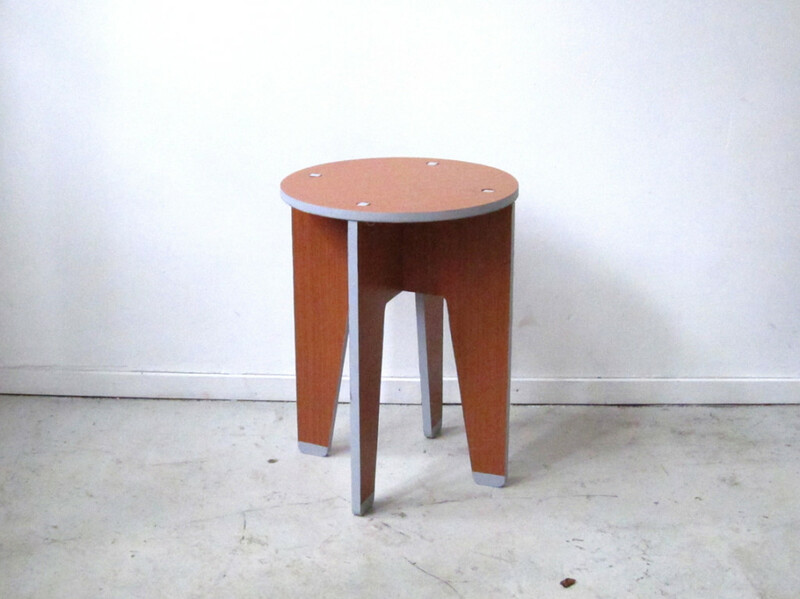 Flat pack circular stool made out of old furniture. The raw material is mined from left over furniture in second hand shops, headed for the municipal incinerator. 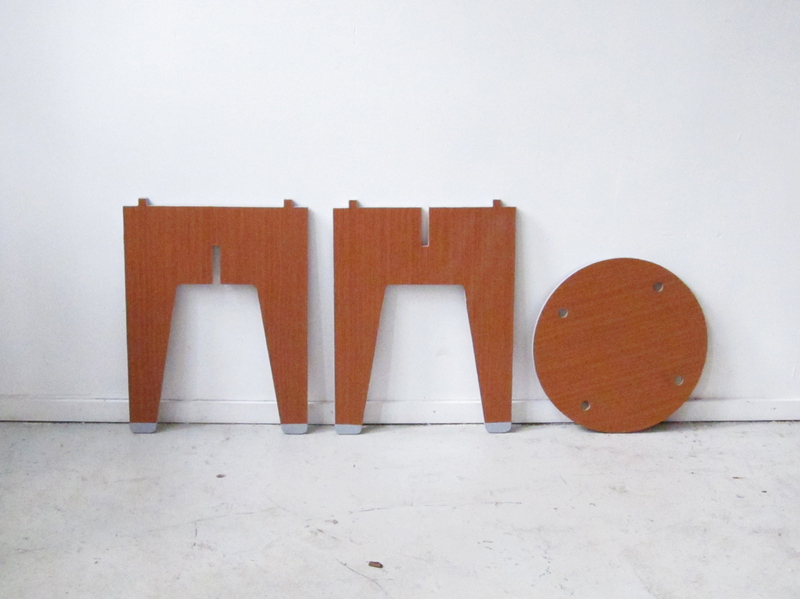 Stijn can be produced locally in social workshops or by automated machines and it is designed for disassemble.